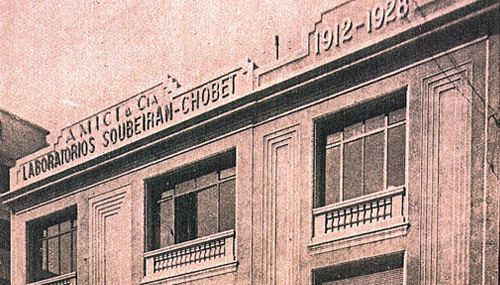 Since the old 1912 days when Soubeiran Chobet was founded, there have been great scientific and technological advances, countless political crisis and constant turbulence in the world’s social and economic scenario. A succession of historic events has seen the small office of the old pharmacist grow progressively to become a striving pharmaceutical company equipped with state-of-the-art 21st century technology. 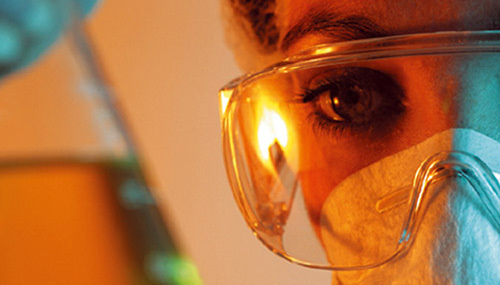 Several patents for products developed from our own research, seven lines of the highest pharmacological level, a national distribution network and permanent service to the healthcare professionals are the result of a unique history of seriousness and commitment to quality. With knowledge enriched through time, it has always been up to the ethical and pharmacological standards that have been the signature of its style since the very first day. A blend of perseverance, dedication and excellence that has turned it into a company with products that are now part of the history of medicine and have deserved the preference of generations of doctors and patients. Today, Soubeiran Chobet not only consolidates its local position but is firmly penetrating new markets with its long-standing corporate policy: Stability, growth and permanent improvement in the quality of its products. Soubeiran Chobet has now 7 product lines manufactured from its own improvements years of through trial and research. From those “historic” products, such as the reconstituent tonic, each product is supported by a professional team determined to go one step ahead in scientific quality and therapeutic reliability. This, added to a permanent policy of service to the healthcare professionals and affordable prices, turns the products manufactured by Soubeiran Chobet into the most safe, efficient and convenient option in each speciality.